What beans does everyone like for espresso? I drank a lot of Alliance World Coffee (Now part of MUGS). I absolutely love their Northern Lights blend. Currently, I drink a lot of LaPrima. LaPrima specializes in Italian style espresso coffee and is absolutely wonderful. I find a lot of espresso blends in the stores are stale or ay too dark for my Bialetti Brikka. I've tried Black Rifle Coffee Company AK47 Whole bean... I liked it, it's a pain to order it online. I'm not huge on espresso and normally just go for strong dark roast in my French Press. We just use a French Roast bean, finely ground. Redbird Espresso. I've been ordering it for about 5 years. To me it's the perfect roast level for espresso, reminiscent of Italy. For mass produced, Illy is good. Ooh that's a good one too, I had it at L'atelier de Joel Robuchon. I like the Starbuck Christmas Blend Espresso beans. I have used Lavazza for years -- real Italian flavor, if used in a reasonably good espresso machine. They have several lines of beans, the Top Class being the best of the bunch. Used in a 15=year old La Cimbali M32 bistro. I tend toward an italian roast and can find good options with each of these roasters. Order online. Brewed on an Olympia Cremina or a Breville Dual Boiler. Espresso Vivace Vita blend for me! (01-06-2017, 07:18 PM)pb56 Wrote: Espresso Vivace Vita blend for me! seems like there's a lot of options out there. I haven't heard of most of these. My local roaster really does make a good blend but I will have to branch out soon. Lavazza Gold Selection espresso beans is my favorite . Of those five your listed do you find the non-Redbird are worth the price premium? 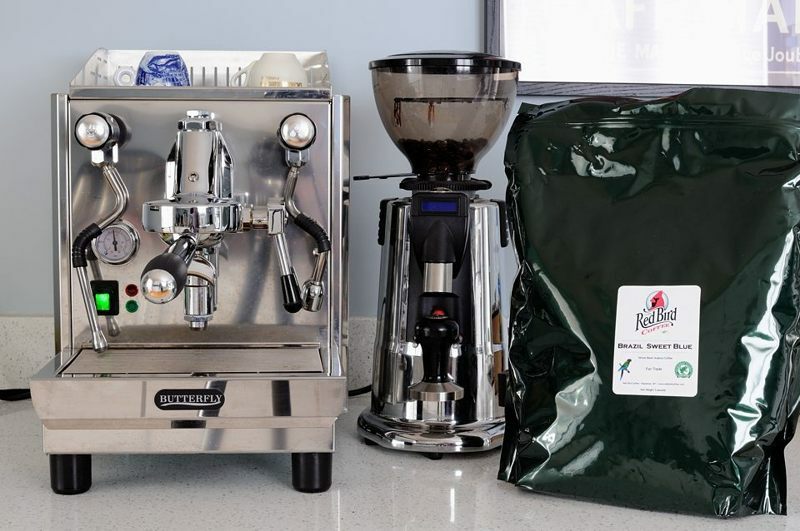 I love RB espresso and it's under $11/lb shipped with a 5lb bag. Hard to branch out when I'm paying Starbucks prices for fresh, amazing Italian roast coffee. Not for regular week to week consumption and for the darker roasts that I drink. If I was drinking lighter roasts, maybe (? ), but that is not my preference anyway. Redbird is still the best deal in town. I actually prefer their Blue Jaguar blend to the Redbird espresso blend, but that is just preference. I buy in 5# bags and freeze. I like coffees from all of the roasters I listed and they each have something to offer, but I do my best to buy in bulk from less expensive roasters (essentially my in-house bar blend), and mix in single pound bags of more expensive coffees for variety, to keep the average cost down across the year. Bodka is probably the next in line in terms of pricing - $70/5# -- at about $14 a pound for the Ala Italia, which I find to be very very good. I am an Italian roast kind of guy. I have really been enjoying Cafe Lusso's Gran Miscela though and am glad to see they are offering bigger bags (they've only recently started to offer 5# bags as far as I can tell). "Dabov espresso blend Impressions". I find it delicious. 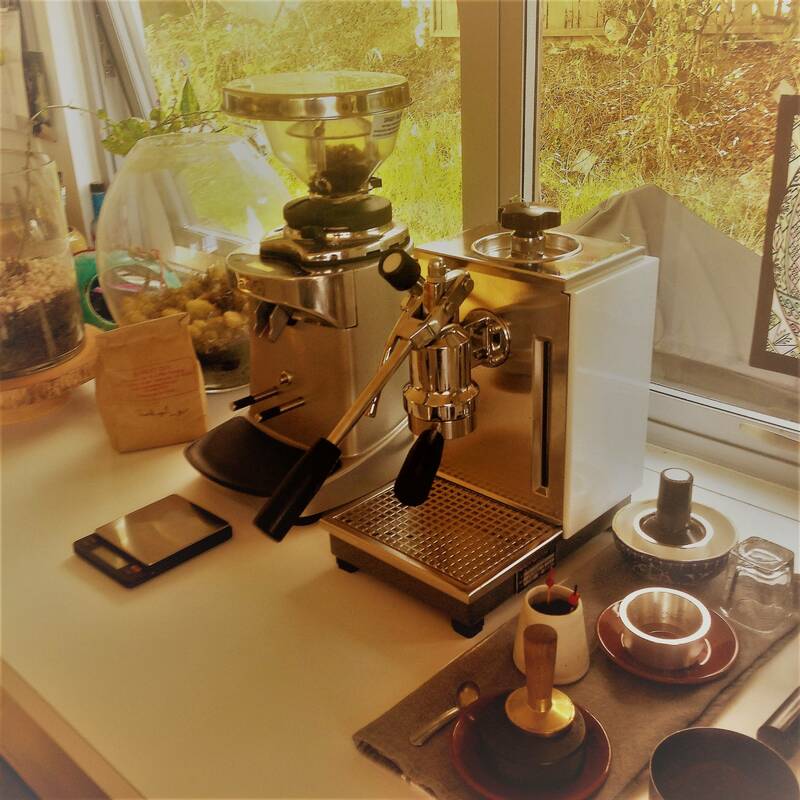 (01-22-2017, 04:51 AM)tuxy Wrote: "Dabov espresso blend Impressions". I find it delicious. I googled it and read the description. Looks very tasty! Looks like I've got some Single Origin espresso shots to run through. Nice setup. Great beans! Sweet Blue and Blue Jaguar are my two favorite Redbird offerings. Is your espresso machine the La Scala butterfly?